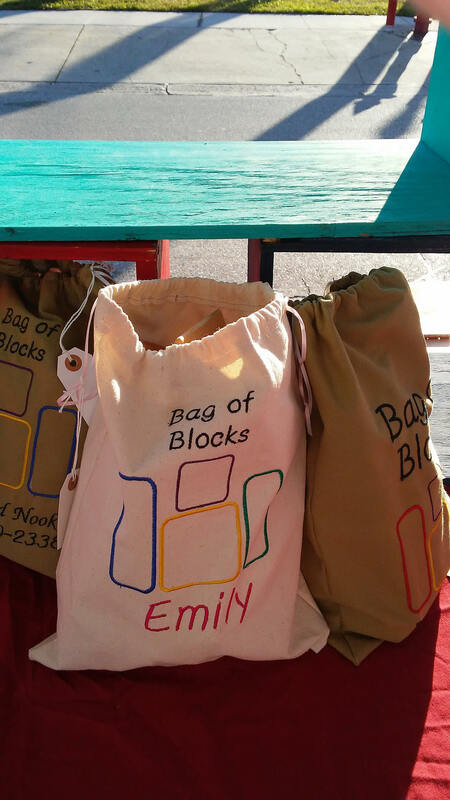 Hand-crafted custom Building Blocks and Bag comes complete with 15 building blocks and Bag. 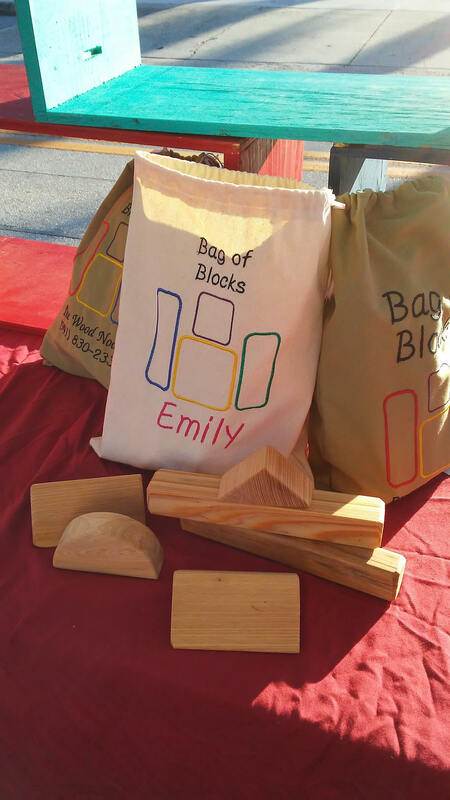 Blocks are hand-crafted and hand sanded then finished with natural food safe oil - encouraging hours of imagination and creativity. 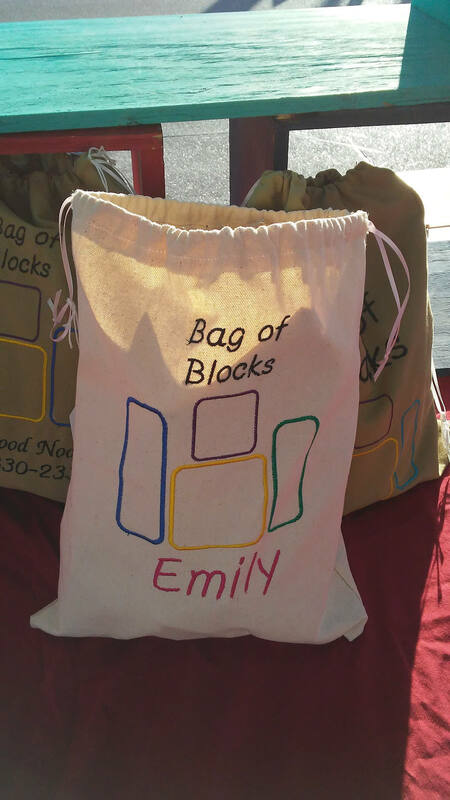 Bag is handmade and embroidered - done with natural colored duck cloth and can be personalized for an extra charge. Bag measures 15" tall by 12" Wide. 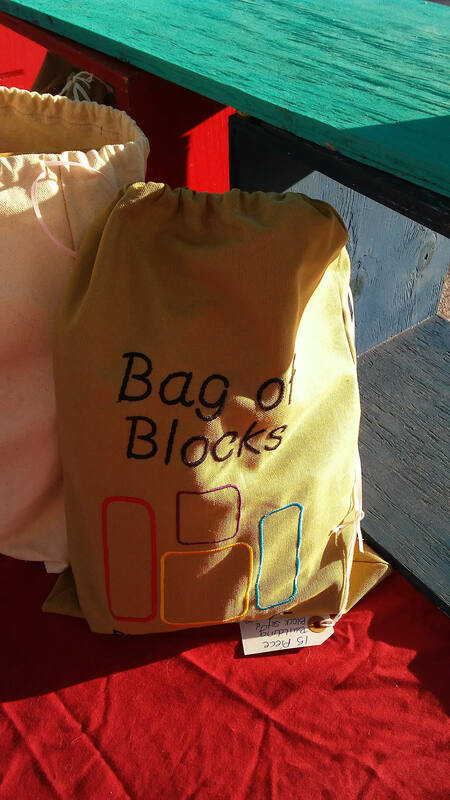 Blocks are assorted shapes and are large enough​ for toddlers to handle. Call us with any questions - (941) 830-2338 or email: woodnookllc56 [!at] gmail.com.